Tom was born May 30, 1949, in Chippewa Falls, to Victor and Bernice (Durch) Mason. He graduated from McDonell High School in 1967. Tom is survived by his sister, Sarah (Mason) Archer of Golden, Colo.; and his brother, Richard Mason of Wimberley, Texas; along with several nieces and nephews. He was preceded in death by his parents, Victor and Bernice Mason; and his sister, Jane (Mason) Lubs. 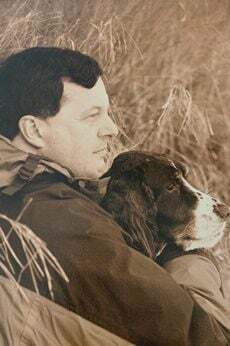 Tom loved his Springer Spaniels, Snoopy, Cricket and Emiley. He enjoyed going to movies, traveling and hunting the Great Plains of Africa. Tom will be missed, his kindness and generosity was felt by all who knew him. A private memorial will be held this summer for family. In lieu of flowers, memorials are preferred to go to the Chippewa Falls Hockey Association.